Several hundred European parliamentarians and dignitaries from two dozen countries will attend the #FreeIran grand gathering in Paris on July 1. The event is also expected to attract tens of thousands of Iranian expatriates and their supporters. The participants will condemn the ongoing human rights violations in Iran, as well as Tehran’s meddlesome role in the conflict-torn region. 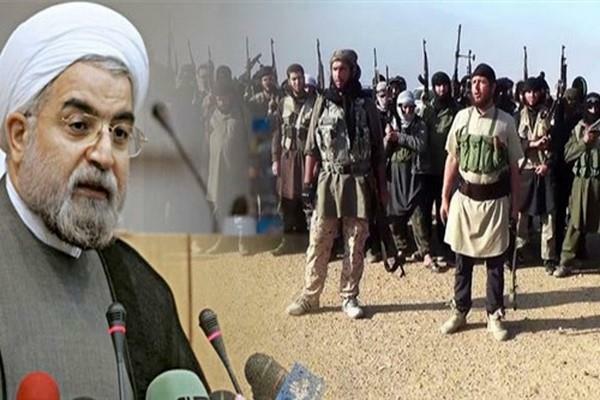 Considering the recent events in Europe and elsewhere, the Iranian government’s role in training foreign fighters for terrorist attacks abroad, as well as its drive to acquire nuclear weapons will certainly be denounced. The lawmakers represent a mix of political parties and viewpoints, but share a common view that Iran’s clerical regime has such disregard for human rights and democracy that regime change is indispensable to freedom in Iran and stability in the region. They will endorse the opposition movement spearheaded by Maryam Rajavi, as the best means of bringing about such change. The legislators attending the Free Iran rally reflect the concern in European capitals about Tehran’s destructive policies, also shared by many Middle Eastern states. Political figures from the Middle East and other Muslim countries will also attend the convention and highlight alarm about the Iranian regime’s malign behavior in the region. 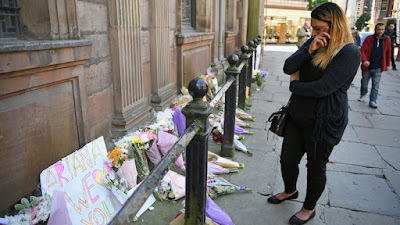 This year, the convention’s focus will be on the need for a united front against Islamic extremism, one of the prerequisites for resolving other urgent problems, such as instability in the Middle East. Speakers will endorse the well-organized opposition as a viable option that can make regime change in Iran a reality. There is a growing sentiment that the opposition coalition led by Mrs. Rajavi, the National Council of Resistance of Iran (NCRI), represents a viable alternative to the ruling theocracy. 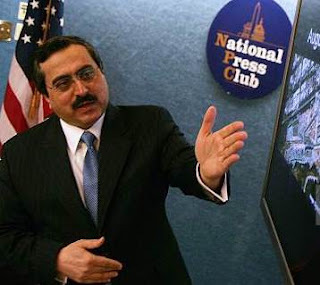 The main component of the NCRI, the People’s Mojahedin Organization of Iran (PMOI/MEK), has an extensive network of activists in Iran, and is pursuing an agenda of regime change. The MEK network has stepped up its activities inside of Iran dramatically in recent months. As we are getting closer to the Iranian resistance’s Grand Gathering in Paris, July 1. the fear of the regime is that the people are demanding a regime change. To prevent that from happening they are terrorizing civilians in the streets.Videos from inside Iran reveals the harassment and abuse conducted by the moral police. The Iranian people are getting more and more abused as the regime are getting more and more fearful. The fear of the mullahs regime of Iran is manifesting itself as terrorist activities conducted by the so called moral police and many other kinds of police as mountain police or hijab police and so on. The Basij militia is also contributing to the terror.This means that the Iranian people are at the mercy of murderers. The Grand Gathering have appealed to the Iranian youth, they want a regime change and are willing to risk their freedom to achieve it. The Iranian regime is using the war in Syria and Iraq to strangle any attempt of an uprising in Iran, they are willing to do anything to prevent an uprising like the one in 2009. One other thing is lashing of people who do not fast, it is Ramadan and in Iran, and under the Mullahs regime, it is forbidden to show that you are anything different than Shia Muslim. Christians and Bahais do not fast but the police are harassing them and even lashing them if they eat in public. A third issue is the media coverage and protests regarding the 1988 massacre.The release of audiotapes that was admitting the regime's agenda initiated a worldwide movement and during the last 10 months have created a huge momentum against the ongoing violations of human rights in Iran, both inside and outside of Iran. Justice for the victims of the 1988 massacre published in February 2017 details of numerous mass graves in Iran. The report refers to a mass grave near the Behesht Abad cemetery in Ahvaz. Amnesty International published news on June 1, 2017, warning that the Iranian authorities may be attempting to desecrate the mass grave in an attempt to destroy vital forensic evidence, and sabotage opportunities for justice for the victims of the 1988 massacre. The growing sympathies for MEK is a result of these revelations and the regime is doing anything in their power to counter the effect. Most of the victims in this massacre were MEK members. All people in Iran is speaking about the massacre and it is now a big movement in Iran that is working against the mullahs crimes and in addition, the fractions inside the regime are fighting each other. As the Iranian resistance’ Grand Gathering is getting closer, the Iranian regime is cracking down even harder on the Iranian people. they are no longer able to hide their fear of the power of the people. It is no secret that the people want a regime change and they want it now. Ever since the clerical dictators hijacked the people's revolution in 1979 there has been a resistance movement MEK/PMOI that has worked to overthrow the mullahs. The Grand Gathering that is taking place every year are addressing this issue, and they are working towards the inevitable regime change in Iran. And the list of supporters is getting longer every year. Politicians all over the world have realized that the Iranian resistance is the answer for the future Iran. One important step in the right direction is the new sanctions that have been put upon the Islamic regime by the new US government, it is nearly enough but it is a start. Our duty is to give our unconditional support to the brave freedom fighters that are risking their lives for a free Iran, the MEK/PMOI. As a countdown to the Gathering, the MEK/PMOI in Iran have been hanging up posters where they demand a regime change, and they openly say that they do not support Rouhani but want Mrs. Maryam Rajavi, the NCRI’s President-elect as President of Iran. The Supreme Leader Khamenei has admitted that the Iranian presence in Syria’s only mission is to prevent an uprising inside of Iranian borders. People know this and they are protesting against the IRGC and the Islamic regime. The Supreme Leader has stated that if Iran was not involved in the Syrian war the IRGC would have been fighting in the streets in Iran. The Iranian resistance goal is a nuclear-free Iran and that Iran will cooperate with their neighbors and end all Iranian presence and influence in the region that involves terror acts. The new US president has turned out to be a man of his word, he is paving the way to regime change alongside the MEK/PMOI and their supporters. And all signs tell us that the regime change is within reach, the regime is fighting within and there is chaos. The regime is trying to fool us into believing that there is a struggle between the moderates and the hardliners in the regime but we are not fooled and neither is the MEK/PMOI. We will be fighting until there is a regime change in Iran and Iran is a free country. Long live MEK/PMOI; long live Maryam Rajavi, long live free Iran. The Iranian Regime’s police force was caught on tape brutally beating customers who were gathered outside of various branches of the Samen-Hujaj financial institution in Tehran on Saturday, June 18. The video shows police kicking, punching and using batons to attack the people, who were merely trying to get their money back, after reports of the company going bankrupt surfaced. Following the vicious attack, police officers began patrolling in an intimidating manner and inspecting vehicles across Tehran. This wasn’t the only attack on civilians by the Regime’s officers that was caught on film last week. On Thursday, June 15, the police force set upon a peaceful protest by laid-off mine workers and their families at the Aqdareh gold mine in Western Azerbaijan province. This violent attack has left thirteen people requiring medical care, but because they fear the retribution of the so-called security forces, many have traveled to hospitals in the next town over or sought private treatment in their homes at incredible expense. The protesters were merely seeking employment and were protesting the decision by the mining company not to hire local workers, given the negative effect the mine has of the ability of local people to earn money in other ways. Aqdarreh gold mine is the second largest gold mine in Iran, located just 30km from Takab city, and it produces 2.2 tons of pure gold every year. Its owner, Aqdareh Pooyazarkan Mining Company is the first gold mining company in Iran. However, since mining began in 1997, there has been a detrimental effect on the local area’s ecosystem, environment, and ecology due to the chemicals being used to extract gold. As a result, many farmers have lost farming lands and the ability to raise animals; excess cyanide discharge has killed animals, polluted crops, and made the soil less fertile. It has even polluted the drinking water because of a pond built to wash the mine’s mineral extractions. Even if they can grow a crop or raise an animal, no one wants to buy the food because of the risk of contamination. Villager’s report that deaths and diseases like cancer and lung disease have been steadily increasing since the mine was built. In 2014, 250 miners at the Aqdareh gold mine held a demonstration against their termination from work. One worker committed suicide, while 17 more were arrested, imprisoned, fined and flogged, over charges of sedition brought by the mine owners. On June 20, 2017, the NCRI, with the help of dedicated MEK members inside of Iran, exposed 4 new missile bases in their press conference held on that occasion. Not only that but 42 IRGC missile sites that are a part of the missile production was exposed under today’s conference. The EU must follow the example of the US and take a stand against the dictators in Tehran. The clerical regime in Iran has shown us time and time again that they do not respect any deals they have signed. The Iranian ballistic missile program is, in fact, a grave violation of the JCPOA deal they signed themselves. Unfortunately, the global media have paid little or no attention to that fact. It is common knowledge that the Obama administration downplayed such activities. The Trump administration, on the other hand, is rightly developing an assertive policy towards the Islamic Republic. This includes a sharper focus on illicit ballistic missile tests. The regime was put on notice when they tested a ballistic missile just days after Trump's inauguration. Since then the IRGC have conducted several missile tests. Wich has led to the recent sanctions on both Iran and Russia for their warmongering in Syria and for Iran’s violations of the JCPOA deal. The European governments should quickly follow the example set by the US. We have paid so little attention to the ballistic missile program in Iran that we barely noticed the IRGC announcement in May, that they had completed work on a third underground facility for production of ballistic missiles. If the Iranian missile program is not stopped entirely it will make no difference when the nuclear deal expires, Iran will then in a matter of days have a nuclear bomb ready that can reach every major city in Europe and that alone should be enough to make the European states tremble. Iran's missile tests have shown us that they are capable of reaching Israel, and several Arabic states and the concern among those countries is fully understandable. Until now the EU have been reluctant and hesitant about standing up to Iran’s destabilizing behaviour and disregard for international rules. European leaders are thinking more of getting access to Iranian oil and marked and not thinking about what is the right thing to do. The multiple functions of the IRGC also call attention to the very fact that the Iranian missile program has been shared with foreign entities that have no other purpose than to inflict injuries on their own, like the Houthis in Yemen. Also, the Hezbollah in Lebanon have been armed by Iran and are using the weapons to inflict terror upon civilians in Syria and Iraq as well as in their homeland Lebanon. During his May visit to Saudi Arabia, President Trump stated that the Iranian regime’s longest-suffering victims are its own people. until the Iranian regime is willing to be a partner for peace, all nations of conscience must work together to isolate Iran, deny it funding terrorism, he said. But terrorism is not the only issue, the regime’s weapons development must be severely constrained and all European nations need to get on board. On July 1st, pundits, dignitaries, and politicians from across the world will join the annual Free Iran Rally in Paris to discuss the solutions to the problems of Iran and the broader Middle East and to condemn human rights violation in Iran. The MEK inside of Iran is spreading the call of “Free Iran”. The Grand Gathering of the Iranian resistance has gathered great support both inside and outside of Iran. it takes place in Paris on July 1. 2017. The demand this year is: Stop the Iran regime’s meddling in the region. As it is getting closer the PMOI inside of Iran is spreading the call of “Free Iran”. The brave Iranian activists have launched a daring campaign in several cities in Iran in an attempt to show the world the extent of support for the annual rally by the Iranian resistance that exists inside Iran. Supporters of the PMOI/MEK have filmed or taken photographs of themselves holding up photographs of Iranian resistance President-elect Mrs. Maryam Rajavi and slogans in support of the “Free Iran” rally. Also, foreign politicians have shown their support for the Rally. Senator Paolo Corsini, vice chairman of the Italian Senate foreign relations committee, sent a video message expressing his support for the Iranian opposition convention. He had this to say about Mrs. Rajavi: she is a woman representing hope for change in Iran, development and encouraging human rights and democratic freedoms. Mrs. Rajavi is a tireless fighter that in my opinion is a major symbol for European Democrats. Under Mrs. Rajavi leadership windows of hope will open and the Iranian people will look at their future with hope. Also, the Italian Senator Luigi Campagna expressed his support. Another Italian senator, Lucio Malan, sent his video message of support for the Grand Gathering. The Romanian Parliamentarians, Vlad Durus, and Ben-Oni Ardelean also expressed their support for the Grand Gathering in a video message. Finally, the resolution 188 that ask for condemnation of the 1988 massacre was ratified. This is a victory for all the innocent families that lost loved ones in this hideous crime. The mullahs must for the first time since they hijacked the people's revolution in Iran answer for their crimes. Most of you have noticed our advertisement that urges you to join freedom loving Iranians at the Grand Gathering in Paris on July 1, 2017. The Gathering this year have the pledge of stopping the Iranian regime's meddling in the middle east region. Like every year before there will be prominent speakers this year too, on the occasion of this gathering, the NCRI have received support from several politicians all around the world. The MEK rejects the lies & fake news by the clerical Iran regime? A few days ago shootings and explosions at the site of Khomeini’s tomb and the regime’s Parliament have nothing to do with the People’s Mojahedin Organisation of Iran (PMOI or MEK); however, state media and individuals affiliated with the regime are trying through various means to drag the PMOI into this matter. 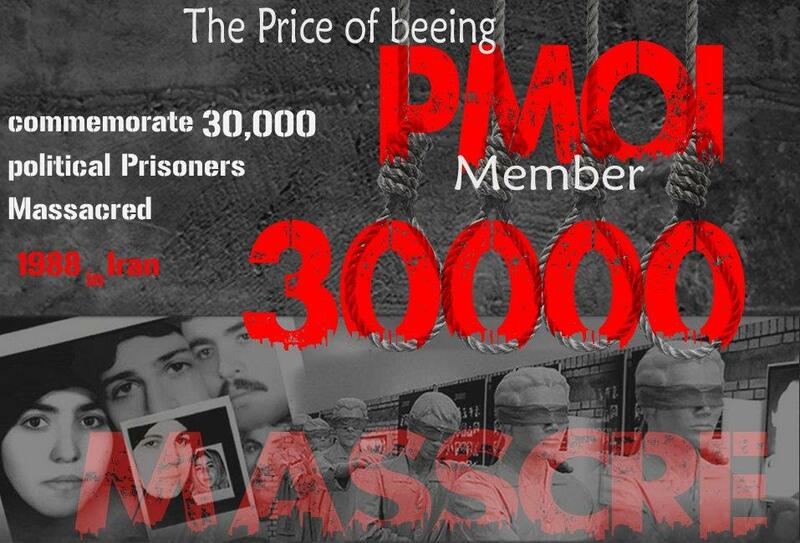 Their intention is to either use this event against the PMOI or else to justify their own previous crimes. In this regard, some of the regime’s sources while reporting the incidents, tried to justify the massacre of political prisoners in 1988, which has led to increasing social outrage and international condemnation over the past year following the revelation of an audio tape by Mr. Hossein Ali Montazeri. 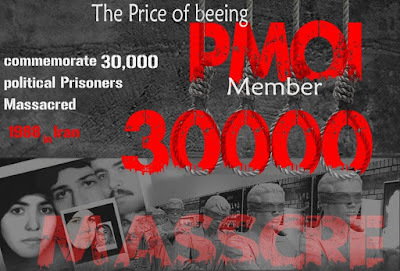 The PMOI rejects the lies by the clerical regime and calls for an international investigation into these incidents. We wish to give our condolences to the victims of the ISIS terrorist attack in Tehran. Today we have seen the Iranian regime’s lobby in action. They are using all means possible to blame Wednesday's ISIS attack in Tehran on the Iranian resistance. The NCRI statement says: “Shedding blood of innocent people under any pretext must be condemned; ISIS practices clearly benefit clerical regime”. The Iranian regime is now very satisfied, this attack has changed the focus from IRGC’s terrorist actions in Syria over to the suffering of the terror victims In Tehran. The very reason so many freedom loving people around the world support the Iranian resistance is because they are working for the freedom for Iranian people and for an end to Iran's terrorist actions in the region. The MEK/PMOI is working hard to get rid of the lies that the regime’s lobby has been telling about them. They are not a terrorist organization, that is why they are not on US blacklist, but the IRGC deserves to be on that list. It is a shame that serious news agencies sell out their integrity to support the world's largest terrorist cartel. Khamenei welcomes this attack as an opportunity to end Iran's isolation in the region, they can now play the role of victim and that suits the regime very well. The PMOI take in their statement distance from this act of terror. 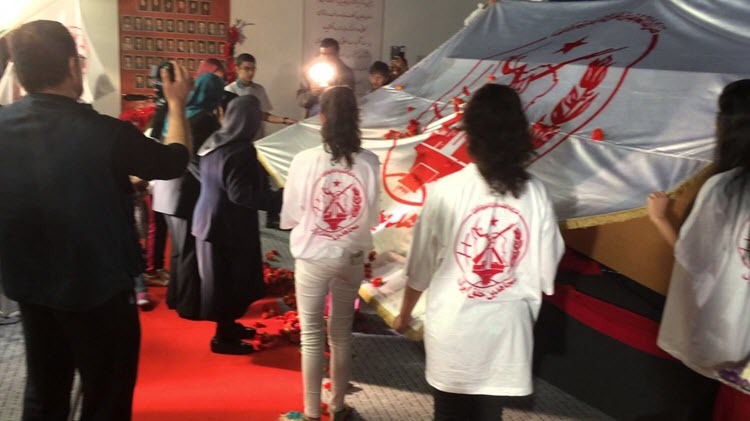 they make it very clear that the PMOI has nothing to do with the shooting and explosions at the site of Khomeini’s tomb and the shooting at the regime's parliament. However, the state media is doing their best to drag the PMOI into this matter. The PMOI reject the lies made by the clerical regime and calls for an international investigation into these incidents. The clerical regime will lose in their efforts to make the Iranian people believe that the PMOI are behind this terrorist attack, the Iranians know that the PMOI are struggling for their freedom. We will keep struggling until Iran is free and democratic, and have peaceful relations with their neighbours and that can only happen when the mullahs are removed from power. The Iranian resistance Iftar gathering in Paris june 3 2017. 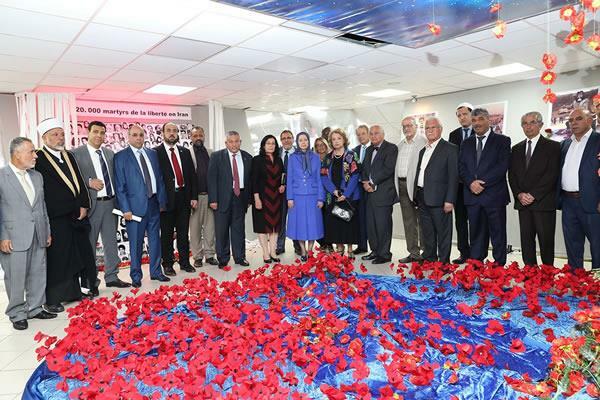 On the night of June 3, there was an Iftar Gathering in the headquarters of the Iranian resistance in Paris. 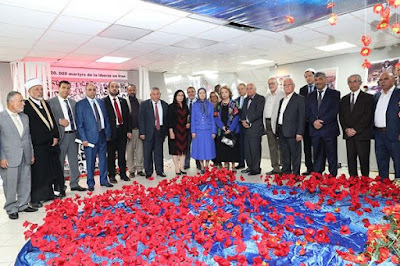 At that occasion, Mrs. Rajavi visited a photo exhibition that bore the name of “Carnage and massacre from Iran to Syria”. Mrs. Rajavi also lay down flowers at the monument of Syrian resistance’s martyrs. The most important issue was when Mrs. Rajavi proposed a three-pronged initiative and urged all nations in the region to support it: designation of the Islamic Revolutionary Guards Corps as a terrorist entity, expulsion of the Iranian regime from the Organization of Islamic Cooperation (OIC), and recognition of the Iranian people’s Resistance for the overthrow of the mullahs’ religious dictatorship and establishment of freedom. We have the honor to invite you to join us at our iftar gathering this evening at 19.30 we are doing a live stream from the Iranian resistance headquarter in Paris. In the evening of June 3, 2017, during the holy month of Ramadan, the Iranian community in Paris, organized an Iftar (break of fast) ceremony. A number of Muslim Personalities and the National Council of Resistance of Iran (NCRI) will attend and address the gathering. In this Ramadan evening, we are gathering to discuss how to stop Islamic extremism and how to stop the Iranian regime’s meddling in the region, welcome. Since May 22 the Iranian people have shown their discontent with the fact that the IRGC ‘s company the Caspian institution have been plundering people’s funds and accounts. The demonstrations have been taking place all over Iran, in Tehran, Mashhad, Ahvaz, Abadan, Khorramshahr, Boushehr, Zahedan, Rafsanjan, Shoush, Omidieh, Aligoudarz, Ardebil, Azna, Alashtar, Rasht, Gorgan, Babol, Sari, Amol, Hamadan, Daroud, Nahavand, Boroujerd, Khorramabad, minoodasht, Kermanshah, Sousangerd, Mehran, Dehloran, Yassouj, Mahallat, Ilam, Delfan, Ramhormoz and Kouhdasht. Protesters all over Iran have been demanding to get their deposits returned, this was funds earned by many years of hard work. The demonstration outside of Bank Markazi (Central Bank) on May 29 contained thousands of plundered people that clashed with the suppressive forces who tried to disperse them. The Iranian people have noticed that the regime is weak and unstable and they are taking advantage of that fact and are openly criticizing the regime. The regime resort to mass executions to silence all critical voices but that is futile, the Iranian people have had enough and will no longer be silenced by threats.